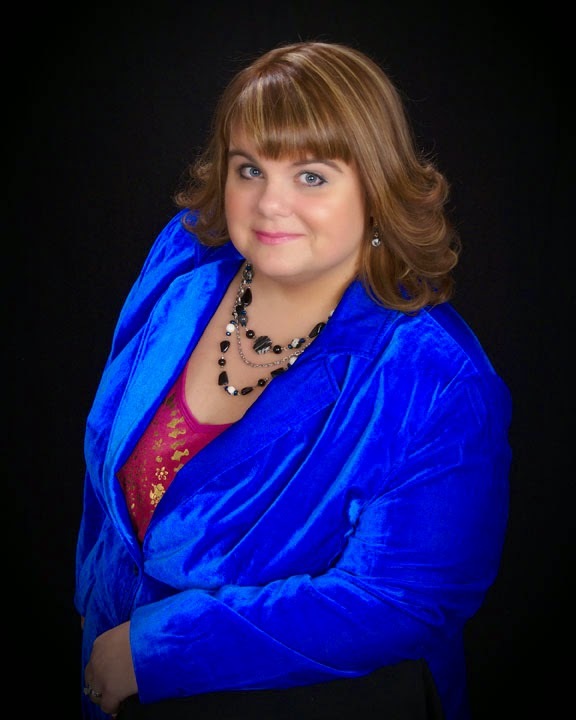 I adore Ann Aguirre so when I was asked to take part in the blog tour for her new YA book MORTAL DANGER I said hell yes! It's been a while since I've had Ann here so I wanted to ask her about MORTAL DANGER and see what else she's been up to. And if you love Ann as much as I do stick around to win a copy of the book! Haven't heard of MORTAL DANGER? Check it out! Hi Ann! First I want to say welcome to back to Two Chicks on Books! It’s been a while since we had a visit from you and I’m excited about MORTAL DANGER!! Thanks for stopping by to answer my questions! Where did the idea for MORTAL DANGER come from? I pitched Mortal Danger as Doctor Faustus meets Mean Girls, set in a dark world of secret societies, twisted bargains, and forbidden love. The heroine is named Edie, and the hero is called Kian. The story's insanely complex in what my agent calls the “down the rabbit hole” way; that's where everything starts relatively normal, but the deeper in you get, the wilder and more unusual the world becomes. No, I really don’t do that. Occasionally I’ll bits of dialogue I’ve heard in real life or a scenario that inspired me but I don’t lift real people and put them in books. How long did it take you to write MORTAL DANGER? I honestly can’t remember. I wrote it last summer. What is for favorite passage/scene in MORTAL DANGER? I questioned my friend and colleague Cara McKenna quite a lot about Boston to make sure I didn’t get anything horribly wrong. I also read a ton of mythology, stories, and urban legends, then cherry picked the creepiest ones to include in the book. There’s plenty more to come, though. And that’s not remotely all; I have a huge TBR. Man, this is a hard one. But I’m going with Micah from The Art of Lainey by PaulaStokes. He’s smart. He’s a little bad. He’s got a Mohawk. He wants to be a pastry chef. Nuff said. I’m working on book 2 in the Immortal Game trilogy, tentatively titled Public Enemies. Can it be both? Sweet & Salty popcorn is perfect. Clowns. Crunchy bugs. Heights. Closed spaces. Crowds. Mannequins. It’s actually faster to ask me what I’m not afraid of. Heh. Summer or Fall Movie you’re most looking forward to? Thanks for stopping by Ann it was great to have you back on the blog!!!! 1 finished copy of MORTAL DANGER. US/Canada Only. Thank you for the interview Ann! I love the Enclave series so I am very excited for Mortal Danger! Wonderful Interview and yes you definitely picked some creepy stories for Mortal Danger. I really loved the story and can't wait for the next book! What an awesome interview! 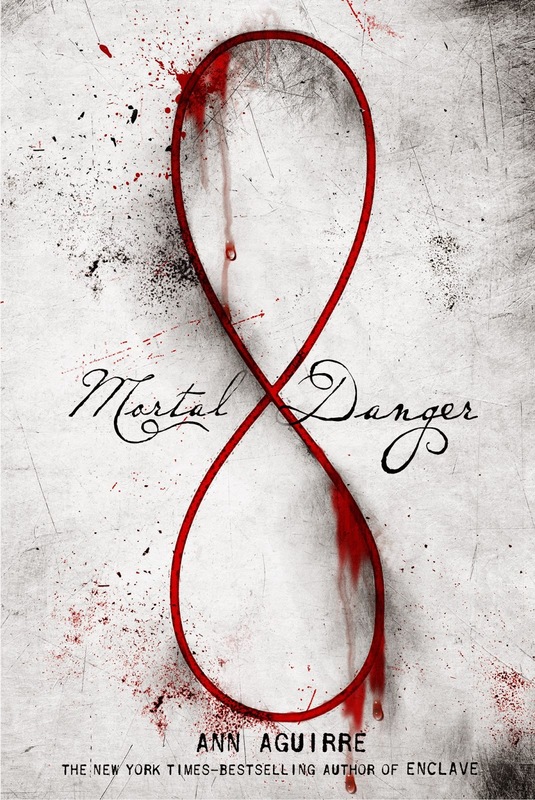 I am really intrigued by Mortal Danger and hope to read it soon! Terribly excited for MORTAL DANGER .... I have been on the lookout for the infinity symbol but haven't noticed any in my surroundings yet (unlike Drew Barrymore and her heart photos collected in FIND IT IN EVERYTHING, but she had 10 years to look). Love the cover and the synopsis! This book sounds beyond amazing and I cannot wait to read it. Author interviews always make me more excited for the book in question, and this was no exception! This is a great interview and this book sounds amazing. I can't wait to read this! The research for this book sounds like it was fun -- I love mythology! Thank you for the interview and giveaway! I haven't heard of your book, but now it's on my to-read-list. Great interview! I loved the Razorland books and I can't wait to read MD! I'm a big fan of Ann Aguirre. So glad to see the new book is out, it sounds wonderful. Thanks for the chance to win a copy. Fabulous interview!!! I'm so so excited for a new series from Ann. I love her darker style! Sounds great! Looking forward to reading it. I've read your entire Razorland Trilogy and loved it! I practically devoured it in a couple days. I love your writing! It's from VOYA, a periodical for educators & librarians. This sounds like a really good book! And a definite YES to Orphan Black and Guardians of the Galaxy! ANN! All that I can say is that I LOVE you, and I am so very excited for Mortal Days. It sounds fantastic, and the cover is awesome!! Thanks Chicks, for the awesome giveaway! Love Ann's writing so this book is already on my TBR. I'm looking forward to reading it. It sounds so lovely. I am really excited to read this book :) It sounds great! I love books about Revenge. Awesome interview this book has been on my radar for quite some time now it looks and sounds fantastic! thanks for the great giveaway! I'm so excited for this book! The concept sounds really awesome. It sounds a little like Burn for Burn. According to me VPS hosting is best.Virtual Private best web host is an innovative approach to partitioning physical servers into several virtual machines..